Fruits: Really a Nutritious Snack or Unhealthy Sugar Source? Myth 1`: Fruits make you gain weight because of the sugar content. 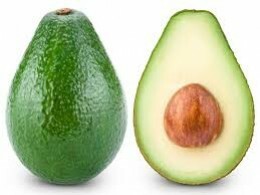 Avocadoes, tomatoes and berries are not fruits. Fruits have a low nutrient content and are not worth consuming Diabetics shouldn’t eat fruits. It’s important to get the fruits you like, no matter where they come from. Fruits can easily replace breakfast, and even one of the other meals. Because of the high content of both soluble and insoluble fibre, which can be filling, it’s actually easy to consume less calories and get loads of essential nutrients that give you energy and strength. Furthermore, the sugar found in fruits is very different from white sugar and, in fact, most fruits have a low glycemic index, which means they’re even safe for diabetics (in moderation). To sum up: Fruits are low in calories, have no unhealthy fats and are rich in nutrients. Myth 2: Fruits make you lose weight and skinny people become even skinnier. This is related to the third myth. Eating different coloured seasonal fruits is actually a great way to get the maximum amount of nutrients. Think of ‘a rainbow of colours’ which applies to both fruits and berries. Those colours are not just pretty, but are actually an indication of the many phytonutrients found in them, which give them those colours. 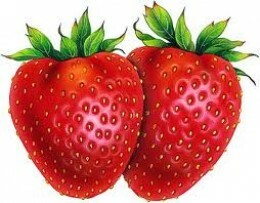 Fruits and berries are full of vitamins, minerals, antioxidants and other nutrients that are not found in other foods. 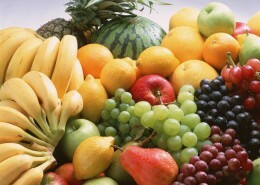 Therefore, fruits ensure the much needed nutrients and help in maintaining ideal body weight. They also have high amount of water content and are loaded with both soluble and insoluble fibre, which is important in assisting the body in cleansing itself of the waste or toxins, on a daily basis. Fibre also helps to normalize cholesterol levels naturally. Fruits and berries are excellent in preventing and even reversing heart disease, cancer, digestive tract problems, inflammation and other health challenges. Fruits also taste great and are satisfying; hence, reason enough to eat them! Fruits are alkali-forming foods, which is very good for health. To sum up: Some reasons why fruits are great for our health - to increase longevity, to prevent diseases, to raise immunity, loaded with vital nutrients, Vitamins C and E, along with a large number of very important micro nutrients. There are many members of the fruit family that people never think of as fruits. Some examples are berries (which is a type of fruit), avocadoes, tomatoes and even cucumbers, which usually thought of as vegetables, are part of the fruit family. So are most nuts – they’re a type of fruit too, with the skin removed. Myth 5: Fruits have no protein. In actuality, fruits contain proteins; on an average about 6 per cent of their calories is protein. Myth 6: Diabetes shouldn’t eat fruits. Most fruits actually have a low glycemic index, and are therefore safe to be consumed by diabetics, but in moderation. Diabetics who are on a low-fat and high-fiber diet can have even more fruits. Myth 7: It’s important to get the fruits you like, no matter where they come from.